If you don’t already know, Mother’s Day is to take place on Sunday 31 March – how exciting! Whether it be your mum, step-mum, aunt, grandmother or a woman who has been a mother-like figure in your life, it is a day where you want to celebrate them and show them how much you love and care for them and to thank them for all they have done! Are you looking that perfect Mother’s Day gift to make sure she is spoiled rotten this year? Then, with the help of this guide you’ll be sure to find that special something! Argento is renowned for its beautiful jewellery and there is no doubt that it makes a beautiful gift – especially for that no1 lady in your life. Argento stock a range of fabulous brands in-store and online, so you’re not stuck for choice! Below is a range of amazing offers they have going on for Mother’s Day! A gift as unique as Mum! Make Mother’s Day extra special with a personalised gift she will truly treasure. Engrave your item by 24 March for delivery in time for Mother’s Day. Treat Mum! 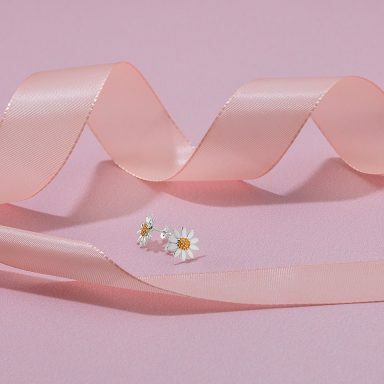 Receive a beautiful pair of daisy studs when you spend £40 on selected brands! 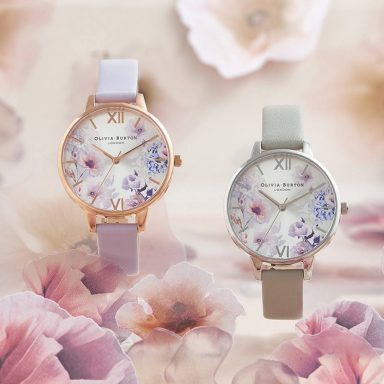 If you are looking to surprise your mum with an Olivia Burton Sunlight Floral but just can’t decide which one is your favourite? Shop the limited edition Mother’s Day gift-set featuring two striking designs in silver and rose gold. 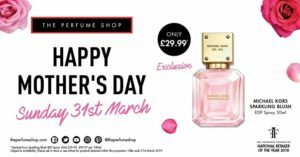 Get your mum the most scent-sational gift at The Perfume Shop this Mother’s Day. With their range of fragrances to choose from including new launches from Marc Jacobs, Armani and Gucci, gift sets and more offers and deals than you can imagine, you’re sure to find the perfect one for your perfect mum! 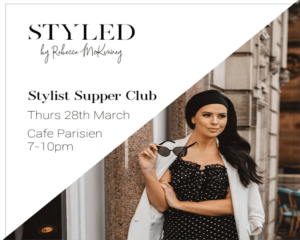 Styled by Rebecca McKinney presents ‘Stylist Supper Club’ at Cafe Parisien on Thursday 28 March! Your favourite style maven is back to launch the Spring season in style! Showcasing her favourite outfits handpicked from Northern Ireland’s style hotspots, guests will enjoy a three course meal while you sip on fabulous cocktails, overlooking the stunning City Hall! This would be a fantastic present for Mother’s Day! So, grab the girls and secure your table ASAP. Victoria Gault offers distinctly luxurious bouquets, with the personalised touch of handpicked bouquets. If you feel a bouquet isn’t enough then why not purchase a fabulous gift set instead? The perfect way to treat your mum to something extra special. Call into the shop in Queen’s Arcade and create your own bouquet or order online. 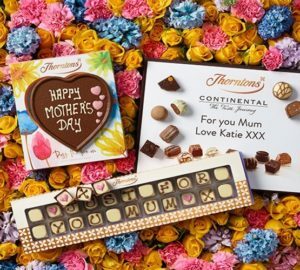 Celebrate the wonderful women in your life in the sweetest way possible with Mother’s Day gift ideas from Thornton’s! 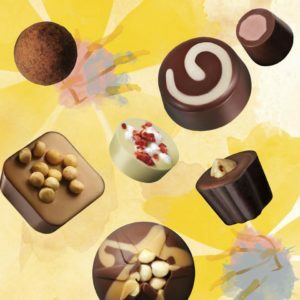 Choose from a range of chocolates, caramels and toffees you are sure to find that perfect gift. 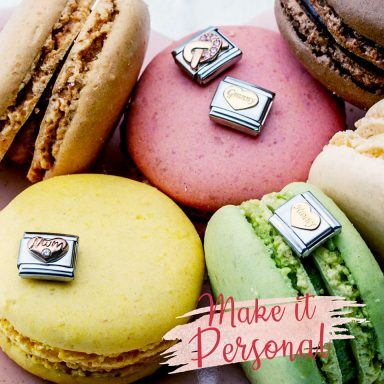 If you want to go that extra mile, be inspired and purchase flowers with your chocolates, personalise your gifts or pick out a fabulous hamper! 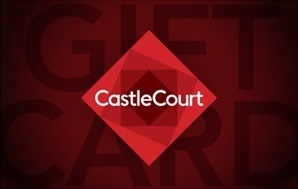 Give the gift of choice this Mother’s Day with gift cards from Victoria Square and Castle Court! Whether you’re looking for something small to add in with a special gift you’ve already bought, or if you just want to spoil her with a little bit more, or if you prefer to give your loved one the option to choose the perfect gift, then a gift card is a wonderful choice! 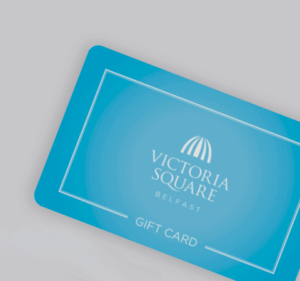 Each gift card can be loaded with an amount between £5 to £500, so they have got you covered whatever your budget! Accepted at participating stores and restaurants within Victoria Square and Castlecourt, it’s the ideal choice for Mother’s Day! 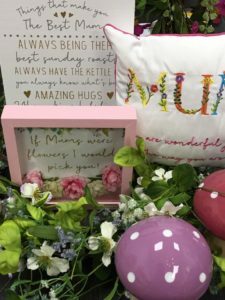 But these aren’t all of the gifts you can get for Mother’s Day – Belfast One businesses have various offers and events taking place surrounding Mother’s Day and thereafter so you can still give that ideal gift and celebrate with them at the same time. Check out what’s on below!